Gott hat erneut gesprochen ist der Beginn einer Neuen Botschaft von Gott für die Menschheit. The revelations presented here have been compiled into this book by the Messenger Marshall Vian Summers. 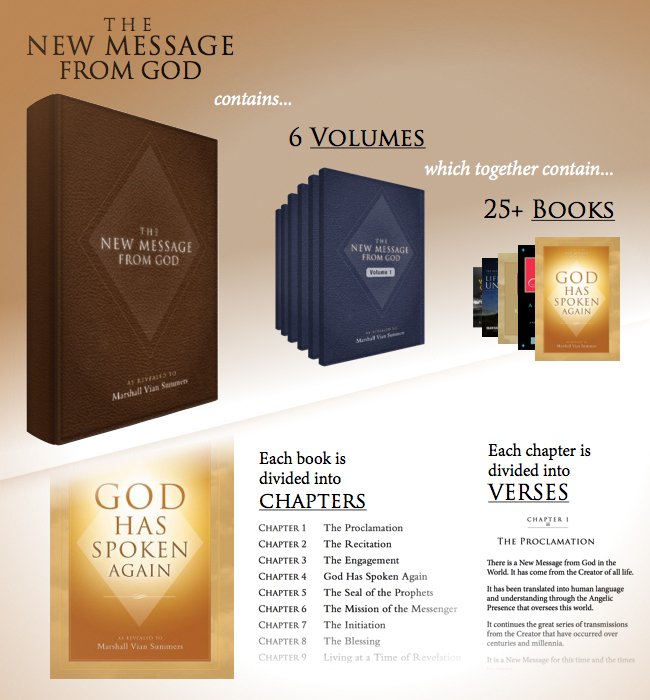 A New Message from God has come into the world. It is an expression of the timeless pure connection with God as it has existed throughout human history and since the beginning of the manifest universe. Humanity now has direct access to this pure experience, unobstructed by human misunderstanding, authority and corruption. It has now entered the world anew. 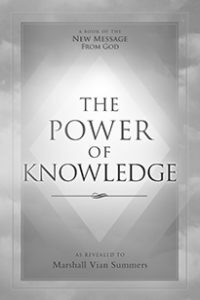 The Power of Knowledge is a forthcoming book in Volume 1 of The New Message from God.